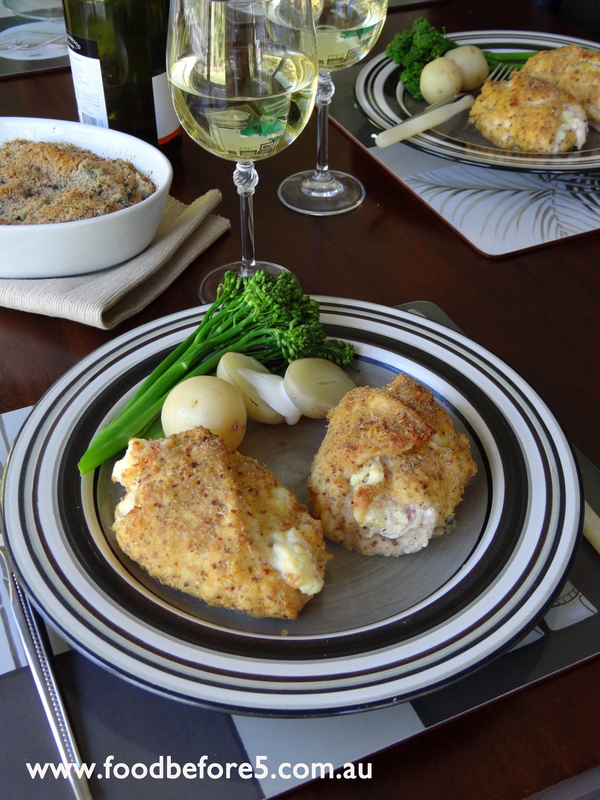 Crumbed chicken dishes are among my favourite and this one tops the list. They are simple to prepare and is a fantastic make ahead meal to pop into the fridge to bake at dinner time. It not only is a great weeknight meal, it also doubles as a special meal for a dinner party. Don’t stress about completely sealing in the stuffing as during cooking, it doesn’t leak out too much. You can’t go wrong with this recipe as it will taste great no matter how it looks! Place breadcrumbs & parmesan in a flat tray & mix together. In a small bowl, beat eggs. Set aside. In a separate bowl, add bacon & microwave on high, covered, for 2 mins. Add garlic, cream cheese & macadamia nuts. Mix until well combined. Slice thick chicken breasts in half, lengthways. Pound chicken breast fillets until thin (approx. ½ cm). This doesn’t need to be exact but you don’t want them too thick. Swipe one side of the breast through the beaten egg & lay (egg side down) onto the breadcrumbs, crumbing only one side of the breast. 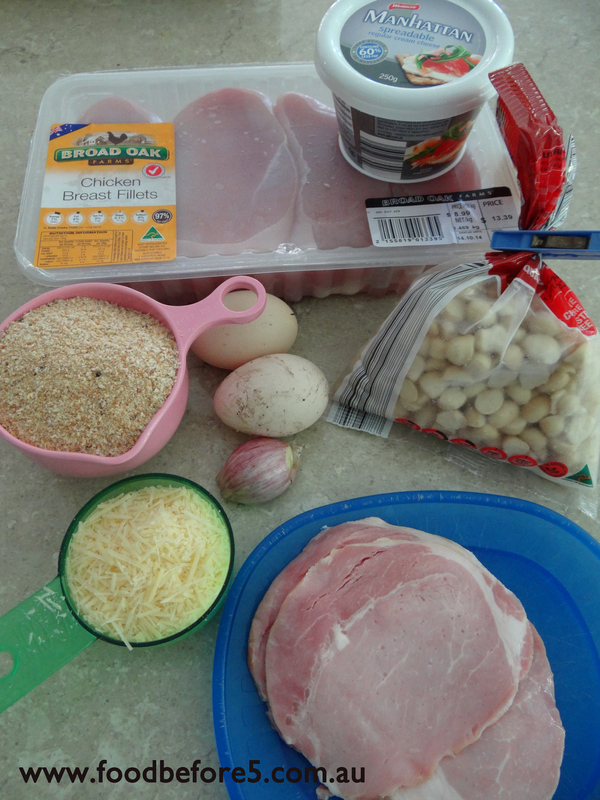 Place a scoop of bacon & cheese mixture onto the upturned side of the chicken breast. Roll up the breast & secure with toothpicks. You may also need to secure the sides of the breast to stop the filling from leaking out. Place in baking dish & repeat the process with the remaining chicken breasts. Cover & store in the fridge until required. Preheat oven to 180oC. Bake, uncovered for 40 mins or until chicken is cooked through.